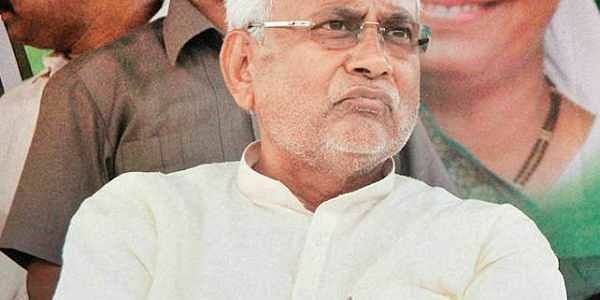 PATNA: AS political permutations and combinations begin in Bihar ahead of the Lok Sabha polls next year and rifts appear in the state’s ruling NDA, the Opposition grand alliance expects Chief Minister Nitish Kumar and his JD(U) to abandon NDA once again. If that happens, the big question being asked is whether he would rejoin the grand alliance and if he does, in what role. 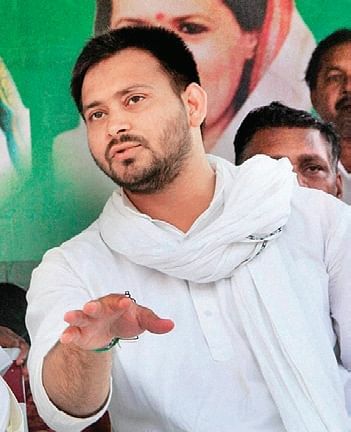 While Congress has kept its door ajar hoping to welcome Kumar and JD(U) back into the RJD-led grand alliance and even makes sly overtures, RJD leader Tejashwi Yadav is sorely opposed to having any trucks with JD(U) again. Yadav, currently the leader of Opposition in Bihar Assembly and the younger son of jailed RJD chief Lalu Prasad, has made it clear that he doesn’t want Kumar in the grand alliance again. Kumar, who headed Bihar’s grand alliance government for 20 months before dramatically quitting and joining hands with BJP in July last year, is seen by RJD as a potential obstacle to Tejashwi’s rise in politics. Tejashwi, 29, is a first-time MLA and the heir apparent to the RJD chief. Since he is busy projecting himself as the grand alliance’s chief ministerial candidate for 2020 Assembly polls, Kumar’s entry could upset his applecart. But RJD’s main ally Congress, which often feels marginalised in Bihar politics due to its tie-up with Lalu, has reportedly developed cold feet to Tejashwi’s leadership. With Lalu having been sentenced to jail terms for 27 years following his conviction in four cases of the Rs 1,000-crore fodder scam and keeping ill, Tejashwi is the de facto head of RJD and the grand alliance in Bihar. “Despite his budding leadership skills, Tejashwi is too young and immature. He also bears the taint of corruption and faces several cases. Just being Lalu’s son may not fetch him and the grand alliance the votes in Bihar,” said a senior Congress leader. Shaktisinh Gohil, the Congress in-charge for Bihar and national spokesperson, said recently that the grand alliance could be “revived” if Nitish Kumar snapped ties with the BJP-led NDA. He also said that since the Narendra Modi-led NDA government was widely perceived to be anti-backward castes, parties like JD(U) that have OBC and extremely backward caste (EBC) vote banks had only two options —either snap ties with the BJP or go down with it. Congress sources said there is unofficially a consensus within the party to welcome Kumar back in the grand alliance in order to defeat the BJP-led NDA in Bihar like in the 2015 Assembly polls. Congress evidently banks on his proven leadership in providing good governance. This time, if Kumar snaps ties with NDA, he is unlikely to repeat the mistake of making JD(U) contest the polls on its own. A triangular contest, like in the 2014 LS polls, could leave JD(U) routed and marginalised, admit JD(U) leaders. Not that Kumar has shown a willingness to be back into the RJD-led front again, but the way his party is chafing at BJP’s insinuations over seat-sharing for the Lok Sabha polls has raised Congress’s hopes. JD(U) leaders close to Kumar say he would not hesitate to snap ties with the BJP unless offered a “respectably enough” seats to contest. If Kumar eventually breaks away from NDA, Congress and RJD are likely to have a hard time settling the issue of his induction into the grand alliance. That will prove crucial in shaping the politics in Bihar and the nation.